Many top minds in finance have shown that asset allocation is the primary determinant of long-term investment results. Others trumpet the virtues of passive management. Yet, many investors—and advisors—end up making unintended active bets in asset allocation—even when they think they’re investing passively. •How advisors can implement this strategy for their clients using cost-effective ETFs. 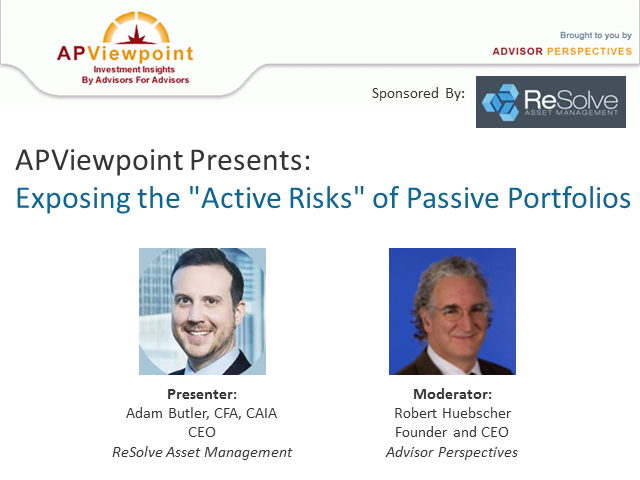 Future webinars will explore the advantages of risk parity, and introduce more active multi-asset "factor" strategies like Adaptive Asset Allocation.